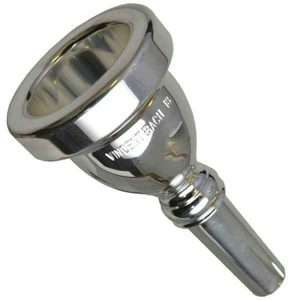 The Bach small shank tenor trombone mouthpiece is among the most popular and reliable in the world. Alto bones (Bach 39) and small bore tenors (.480″-.508″ bore like the Bach 6, 8, 12, 16 – lots of jazz and commercials horns in this range) use a small shank mouthpiece. 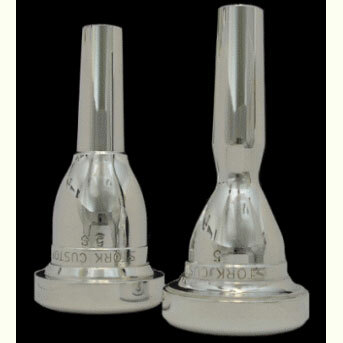 Also using a small shank mouthpiece are medium bore (.525″ like a Bach 36) horns. These are common in jazz work, theater work, concert band, brass quintet or even lighter orchestral stuff. A medium bore horn can almost do it all except for true bass trombone parts. 3 Medium deep 26.26mm Medium wide, well rounded. Extra-large cup for players with a robust embourchure. 4 Medium 26.00mm Medium wide, well rounded. Very large cup; principally used by players having a healthy, strong embouchure. 4C Medium shallow 25.75mm Medium wide, well rounded. Large cup with a brilliant tone. Requires a powerful natural embouchure. 5 Medium 25.50mm Medium wide, semi flat. For players with a good, natural embouchure. Rather large cup. Produces a full, mellow, sonorous tone. 5GS Medium 25.50mm Medium wide, semi-flat. Same as No. 5 but with larger “G” throat and 420 backbore. 6 Medium 25.50mm Medium wide, well rounded. Fairly large cup. For players with a strong embouchure. Full, solid, mellow tone. 6 1/2A Medium deep 25.40mm Medium wide, well rounded. Slightly larger than medium with standard-size throat and backbore. Rich, compact tone of large volume. 6 1/2AL Medium deep 25.40mm Medium wide, well rounded. The same rim and cup as No. 6 1/2A, but with a larger “G” throat and 420 backbore for trombonists who strive for a Teutonic tone quality. Recommended for euphonium players who desire a round, mellow tone of great carrying power and substantial volume. 6 1/2AM Medium deep 25.40mm Medium wide, well rounded. Symphony model tenor trombone mouthpiece features same cup and rim as 6 1/2A, but with symphony “F” throat and 413 backbore. 6 3/4C Medium shallow 25.00mm Medium wide, well rounded. Produces a full, clear, rather brilliant timbre. For trombonists with a good, well-trained embouchure. 7 Medium 24.75mm Medium wide, not too sharp. The ideal mouthpiece for the artist desiring a beautiful, ringing tone with sufficient volume for melody playing. 7C Medium shallow 24.75mm Medium wide, not too sharp. Designed for players who prefer a medium-large cup to assure a large volume of tone. The rather shallow cup produces great brilliancy. 8 Medium 24.75mm Slightly wide and flat. Corresponds in cup design with No. 7, but with a wider rim. Players with heavier lips prefer this model. 8 1/2W Medium shallow 24.75mm Very wide, well rounded. For players with heavy lips who need support to prevent the rim from digging. Well liked by musicians who do strenuous work. Produces lively brilliant tone with easy high register. 9 Medium deep 24.72mm Medium wide Possesses a beautiful, rich, rather mellow timbre. 11 Medium deep 24.70mm Medium wide Same style as No. 9 but slightly smaller. Produces a magnificent round tone of great carrying power. An excellent model for euphonium and baritone players. 11C Medium shallow 24.70mm Medium wide Same size as No. 11 but with a medium-shallow cup for brilliant ringing tone of large volume. 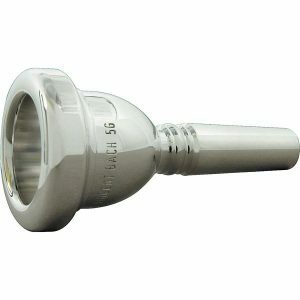 12 Medium 24.50mm Medium wide An excellent all-around mouthpiece. Combines a fine, solid dark tone, excellent flexibility, great volume and easy response. 12C Medium shallow 24.50mm Medium wide Same size and rim as No. 12 but with a more brilliant, crisp tone. The best selling model for all-around playing. 12E Very shallow 24.50mm Medium wide This model, designed principally for Eb alto trombone, can be used on Bb trombone or bass trumpet when a brilliant, brassy tone is desirable. 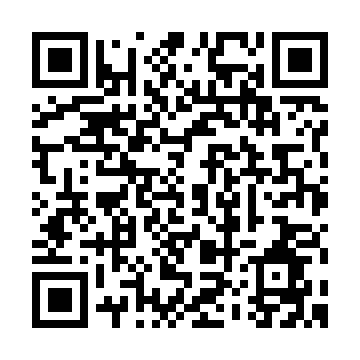 Alo recommended for use in the extreme high register. 14D Shallow 24.50mm Medium wide Well suited for playing in the high register. Very effective for coloratura work. 14 1/2D Shallow 24.50mm Medium wide Small, shallow cup and wider rim aid the high register while producing a clear, lively tone. 15 Medium deep 24.40mm Medium wide A full-toned mouthpiece of mellow timbre. 15C Medium shallow 24.40mm Medium wide Medium shallow cup produces a clear, lively tone. Players with thin lips or a weak embouchure will find it helpful. 15CW Medium shallow 24.40mm Very wide, well rounded. Designed for great brilliancy and resistance to facilitate the very high tones. The wide cushion rim distributes pressure, an advantage to players with soft, fleshy lips. 15D Shallow 24.40mm Medium wide Has a rim similar to No. 15C but the shallower cup produces a clear, crisp tone, effective in the extreme high register. 15E Very shallow 24.40mm Medium wide Designed for Eb alto trombone but used also by players who continually play in the extreme high register. Also used for bass trumpet where a martial tone quality is desired. 15EW Very shallow 24.30mm Extra-wide cushion rounded. The choice of artists who play in the extreme high register for long hours. 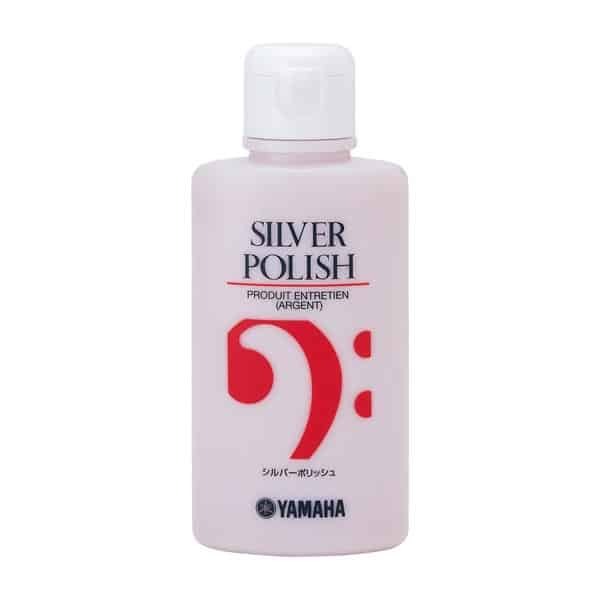 Produces a brilliant, piercing tone. 17 Medium 24.20m Medium wide A rather small mouthpiece for all-around work by players with a small mouth or weak lips. Produces a mellow tone. 17C Medium shallow 24.20mm Medium wide Produces a clear, brilliant tone; requires little effort to play. Good for players with a small mouth and weak lips. 17D Shallow 24.20mm Medium wide For trombone players who play continually in the high register and need a brilliant tone with much resistance. 18 Medium 24.20mm Fairly wide flat Same cup as No. 17 but with a wider, flatter rim. 18C Medium shallow 24.20mm Fairly wide, flat. The same cup diameter as No. 18 but slightly shallower, producing a brighter, crisper tone. 18D Shallow 24.20mm Fairly wide, well rounded Playing results are similar to No. 17D but with a wider, more rounded rim. 19 Medium deep 24.00mm Medium wide, fairly flat. V-shaped cup Primarily designed for a rather mellow, velvety tone. 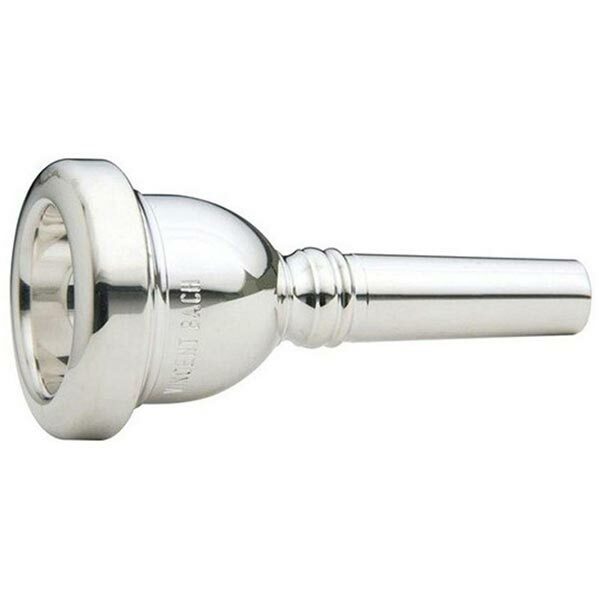 22 Medium 23.92mm Medium wide This small mouthpiece is used by players of the English or Italian school, and for tenor horn and very small bore trombones. 22C Medium shallow 23.92mm Medium wide The small and shallow cup is well suited for bass trumpet but is also used on the small bore valve trombones popular in some Latin countries. 22D Shallow 23.92mm Medium wide, slightly rounded. This model was originally designed for bass trumpet which requires a brilliant, penetrating tone of martial character.